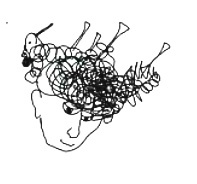 Drawing- Thinking outside the helmet 2009. Keep on that helmet before it bounces off: the buzz about cycling in 2009 was refreshing and invigorating. 2009 was a breakthrough year on several key cycling milestone achievements in Metro Vancouver after years of dedicated effort and partnerships among cycling advocacy groups, transportation planning authorities, politicians and residents. Both local and national media press coverage generated spirited discussion and debate which placed cycling at the forefront, as a realistic change lever where individuals could contribute and help drive en masse, to rethink and design our communities for liveability. Central Valley Greenway opening at Sperling Station. Photo by Jack Becker 2009. May 2009 To stimulate public discussion on bike share systems, City of Vancouver invited a vendor for 1 wk. demonstration of the bike-share system Bixi used in Montreal. 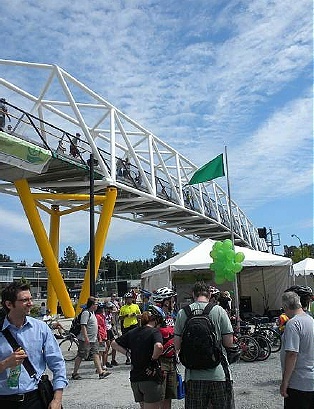 June 2009 Completion and opening of the Central Valley Greenway, – a 24 km. multi-modal route for cyclists and pedestrians for commuting, shopping, and recreation on a fairly flat route through municipalities of Vancouver, Burnaby and New Westminster. June 2009 Completion and opening of the 1 km. Golden Ears Bridge, its highway and bike lanes approaches in Surrey, Langley, Maple Ridge and Pitt Meadows which connected and expanded cycling networks in these municipalities. Burrand Bridge bike lane. Photo by Jack Becker 2009. June 2009 City of Vancouver council supported separated bike lanes on roads for cycling. July 2009 Successful reallocation of 1 traffic lane for cyclists on the Burrard Bridge in downtown Vancouver thereby physically separating cyclists, pedestrians and cars. August 2009 Completion of 1 km. cycling bridge deck alongside the new Canada Line rapid transit line from Vancouver airport, over Fraser River into Richmond and Vancouver. City of Vancouver implemented feeder bike lanes and bike routes to the new Canada Line stations. Canada Line trains also accommodate bikes more easily than other SkyTrain lines during off-peak hours. Summer 2009 Strong participation in first-ever large scale suburban cycling ride events in Pitt Meadows, Maple Ridge, Coquitlam, Langley and Surrey sponsored by Vancouver Area Cycling Coalition. A 30-km. Coquitlam ride attracted over 400 cyclists. 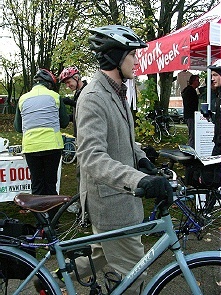 VACC fall Bike to Work Week. Photo by Jean Chong 2009. October 2009 Completion and opening of newly expanded Pitt River Bridge with bike lanes and a bike path. Extension of Bike to Work Week event from spring into fall for second consecutive year by Vancouver Area Cycling Coalition. Completed extension of separated bike-and pedestrian Seawall paths through Olympic Village. Spring 2009 City of Vancouver map for 1,700+ community gardens which also mark nearby established bike routes. Check out the map. 2009 provided a long list of advancements within Metro Vancouver for cycling infrastructure as well as promotion and marketing of cycling as a viable form of transportation year round. The list is too long to mention here. 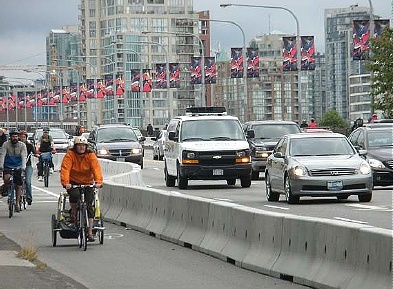 Is 2009 the fulcrum of a new attitude to cycling for transportation within the City and Metro Vancouver? 2010 is shaping up to become an exciting year where new directions for cycling for this area may take hold. Will separation of cyclists and cars become a normal reality? Take your bikes and cycle them to the city halls of Metro Vancouver and let your voices of support be heard. Third Wave believes that the findings of the Cycling in Cities Survey needs to be incorporated into cycling design toolkits of every municipality and the province for cycling to provide its full potential as a transportation mode and its contribution to the air and health quality of sustainable communities. For a few years now, Third Wave has focused on this design toolkit for the future through the work of its principals, its public lectures, and study tours to places that have these designs on their streets. Golden Ears Bridge. Orginal project website 2009. See also cycling map information from Translink. Mickleburgh, Rod. “For Cyclists –and Motorists –It’s an Easy Ride”. Globe and Mail. Dec. 27, 2009. On Burrard Bridge bike lane. Ripplinger, Sarah. “Biking in Rainforest City: Vancouver”. Momentum Magazine. Issue 43. Jan.-Feb. 2010. Richard Campbell is interviewed for article. Teschke, Dr. Kay et al. Cycling in Cities Survey Research Program. Vancouver: University of British Columbia. See survey results for 2005 and 2006.